Today, American Farmland Trust announces the launch of its 10th annual Farmers Market Celebration, set to run through Sept. 21. The Celebration is a national effort to promote the importance of family farmers and farmers’ markets, while also raising awareness about the loss of America’s farmland. We encourage you to recommend the Sitka Farmers Market, which regularly ranks as one of Alaska’s top markets in this national contest. We finished first for Alaska in 2017 and second in 2016. 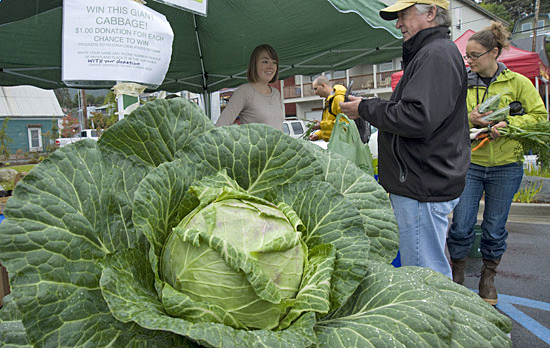 The Sitka Farmers Market is a project of the Sitka Local Foods Network. At the end of the Celebration, AFT will present awards to the top markets in each of the four categories above. AFT will also recognize a “People’s Choice” winner and the top three most recommended markets in each state. All summer long, farmers and shoppers are encouraged to use the hashtag #OnMyFork to show off the best of what their market has to offer and to highlight the importance of our food choices in supporting family farmers. We want to showcase the markets that make your community proud, so join the conversation and share your story with AFT on Facebook, Twitter and Instagram. 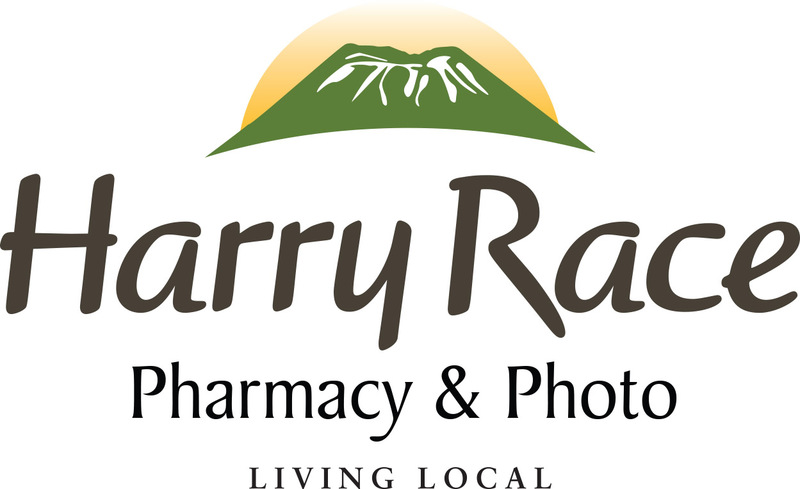 We ask people who post anything about the Sitka Farmers Market to please tag our Sitka Local Foods Network page on Facebook, https://www.facebook.com/SitkaLocalFoodsNetwork, tag our Sitka Farmers Market page on Facebook, https://www.facebook.com/SitkaFarmersMarket, and/or share it on our Twitter page, https://www.twitter.com/SitkaLocalFoods. Please use the hashtags #SitkaLocalFoodsNetwork and #SitkaFarmersMarket if you share a photo. 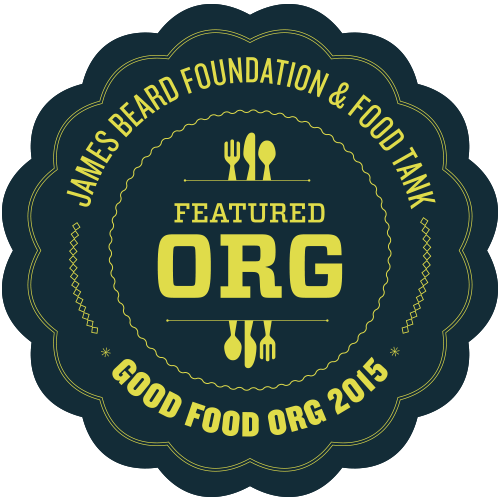 Local food and local food producers are the foundation of local economies and communities. Farmers and consumers both benefit. Studies show that producers that participate in farmers markets have a 10 percent greater chance of staying in business, and people who shop at the local markets save 25 percent a year in food costs. 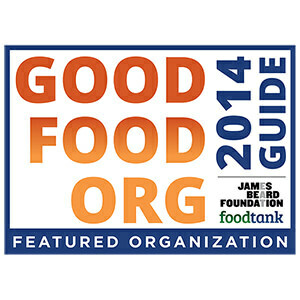 To endorse your favorite farmers market, visit markets.farmland.org. 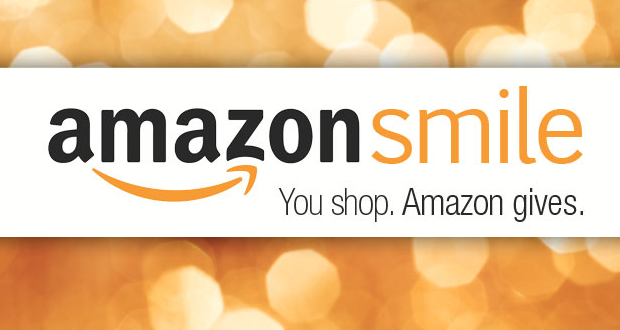 The Celebration began at 8 a.m. Alaska Standard Time (noon EST) on June 21, and closes at 8 p.m. AST (midnight EST) on Sept. 21. 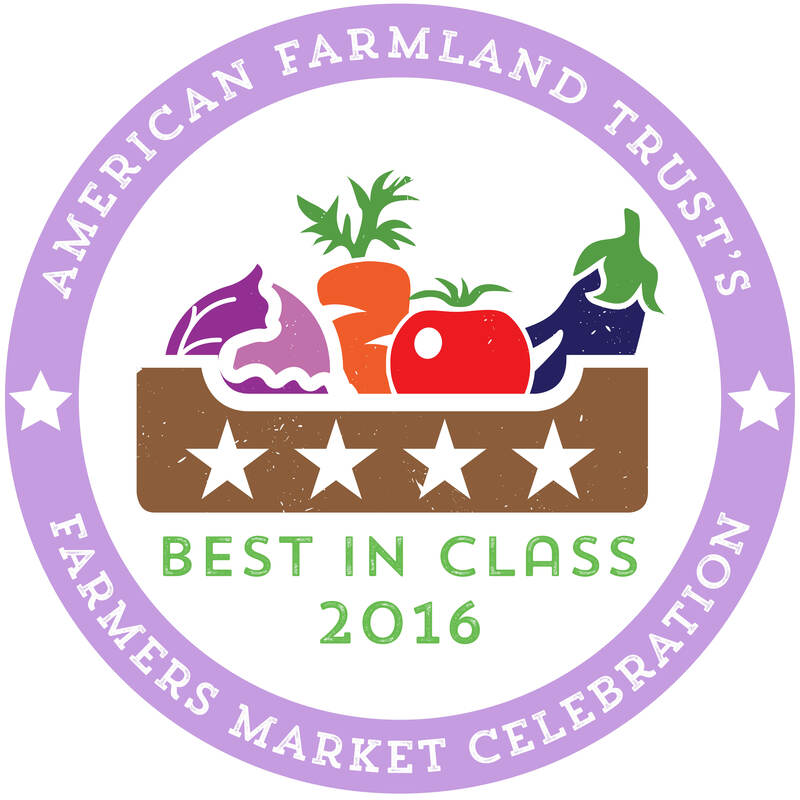 Have you voted yet in the American Farmland Trust’s ninth annual Farmers Market Celebration? They just released the first standings in the national contest, and the Sitka Farmers Market ranks among the leaders nationally and is No. 1 in Alaska. The celebration calls on shoppers to identify the best farmers markets in the country. It launched on June 21, and runs through Friday, Sept. 22. So far we’ve hosted five Sitka Farmers Markets this season (on July 1, July 15, July 29, Aug. 12, and Aug. 19), and our last two markets of the season take place from 10 a.m. to 1 p.m. on Saturdays, Sept. 2 and Sept. 9, at the Alaska Native Brotherhood Founders Hall (235 Katlian St.). 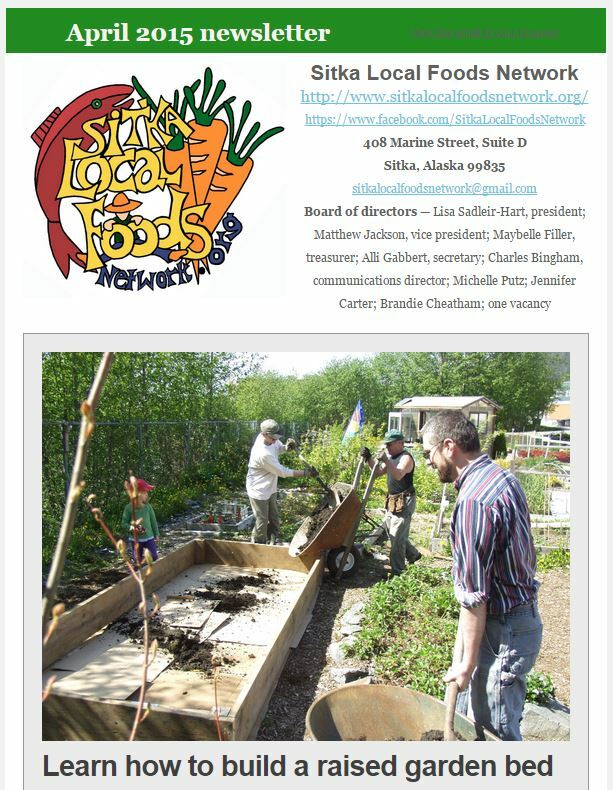 The Sitka Local Foods Network also will host a farm stand at the 23rd annual Running of the Boots costumed fun run fundraiser which starts at 11:30 a.m. (registration at 10:30 a.m.) on Saturday, Sept. 23, at Totem Square, and this year the event benefits both the Sitka Local Foods Network and Big Brothers Big Sisters of Alaska. “The Celebration encourages market customers, family farmers, community activists – anyone who believes they’ve got the best farmers market in the country – to endorse their market in four special areas: Focus on Farmers, Healthy Food for All, Pillar of the Community, and Champion for the Environment,” said Susan Sink, American Farmland Trust vice president of development and external relations. Shoppers are encouraged to use Instagram and join the local food community in saving farmland with their forks, as part of AFT’s “#OnMyFork” social media campaign. Supporters are encouraged to post pictures or videos of their farmers market to Instagram using the hashtag #OnMyFork. 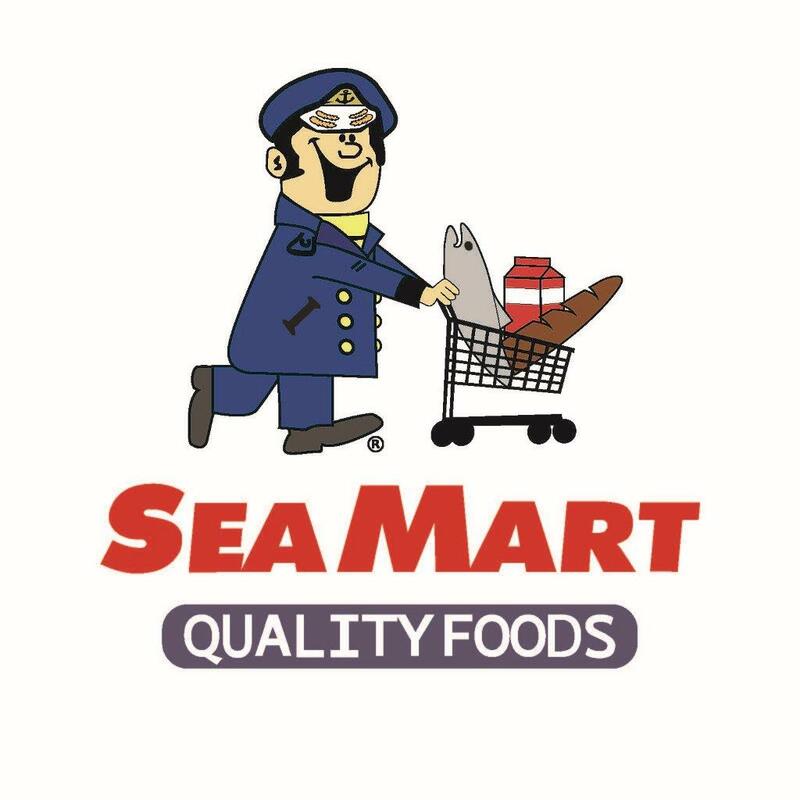 If you do post something about the Sitka Farmers Market, please tag our Sitka Local Foods Network page on Facebook, https://www.facebook.com/SitkaLocalFoodsNetwork or share it on our Twitter page, https://www.twitter.com/SitkaLocalFoods. Please use the hashtags #SitkaLocalFoodsNetwork and #SitkaFarmersMarket if you share a photo. To vote for the Sitka Farmers Market in the national contest, just go to http://markets.farmland.org/market/sitka-farmers-market/ and recommend our market. In past Farmers Market Celebrations, sponsored by the American Farmland Trust, the Sitka Farmers Market has been at or near the top among the Alaska rankings. In 2015, the Sitka Farmers Market was the top Alaska market in this contest. In 2016, the Sitka Farmers Market earned Best In Class honors in the contest. We made a few improvements in 2017 (vendor rates back to 2015 levels, a new Alaska Grown booth featuring products from around the state, a kids vendor program, etc. ), so this year’s markets have been better than in the recent past. Stop by on Sept. 2 and Sept. 9 and check things out, then support us in the online contest voting. What you put #OnMyFork matters. That’s the message behind American Farmland Trust’s ninth annual Farmers Market Celebration. The celebration calls on shoppers to help identify the cream of the crop — the best of America’s farmers markets — and in Alaska we think that’s the Sitka Farmers Market. The celebration calls on shoppers to help identify the best of America’s farmers markets. The summer-long event launched June 21 and runs through Sept. 22. The first Sitka Farmers Market of the 2017 summer is from 10 a.m. to 1 p.m. on Saturday, July 1, at the Alaska Native Brotherhood Founders Hall. The other six Sitka Farmers Markets this summer are on Saturdays, July 15, July 29, Aug. 12, Aug. 19, Sept. 2, and Sept. 9. Farmers markets have a lot to offer. Beyond the beautiful array of fresh and local food, farmers markets help family farmers thrive, connect us as a community and can be catalysts for both environmental and social good. That is why American Farmland Trust is giving away awards to farmers markets who are the Best in Class in four special areas — Focus on Farmers, Healthy Food for All, Pillar of the Community, and Champion for the Environment. There also is a People’s Choice category. 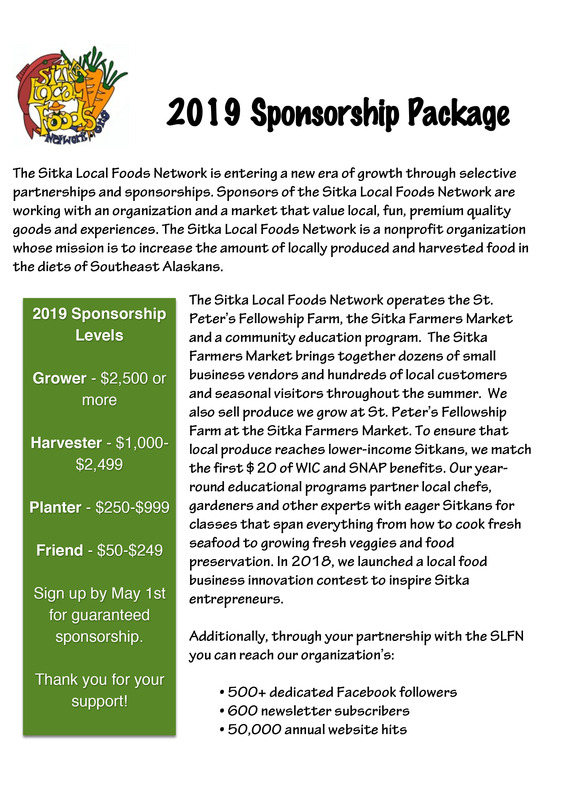 Focus on Farmers — The Sitka Local Foods Network, which sponsors the Sitka Farmers Market, has been working with local gardeners and small farmers to increase the amount of locally grown fruits and veggies in Sitka. 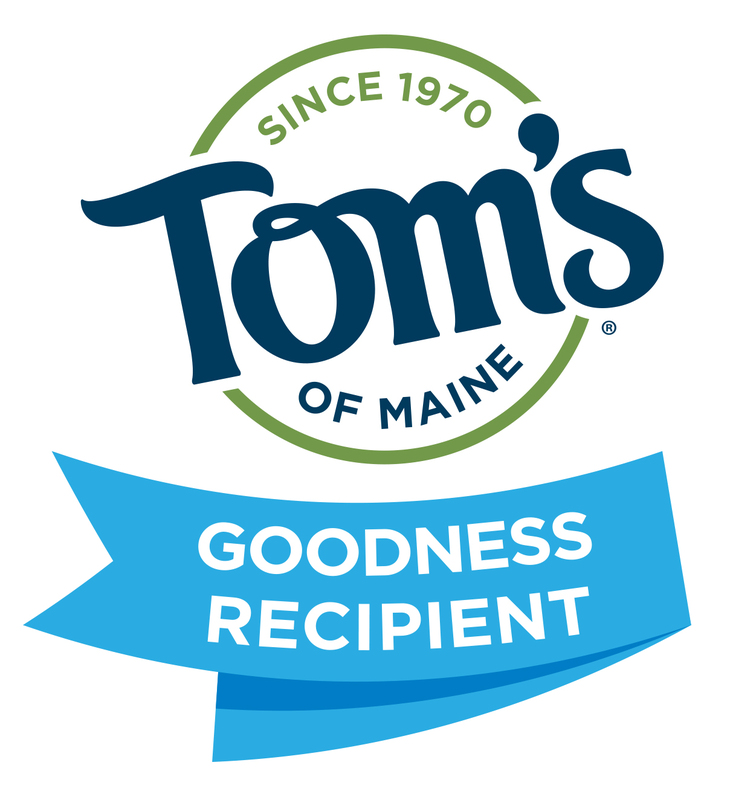 Not only is locally grown food fresher and better tasting, but it’s better on the environment because it doesn’t have to travel thousands of miles to get to Alaska. Healthy Food for All — The Sitka Farmers Market was the first farmers market in Southeast Alaska to accept SNAP (food stamps/Alaska Quest cards) and WIC vouchers for people benefitting from those programs. In addition, we have matching dollars of up to $20 per person per market available for SNAP-eligible foods (produce, fish, baked goods, barley products, etc.). 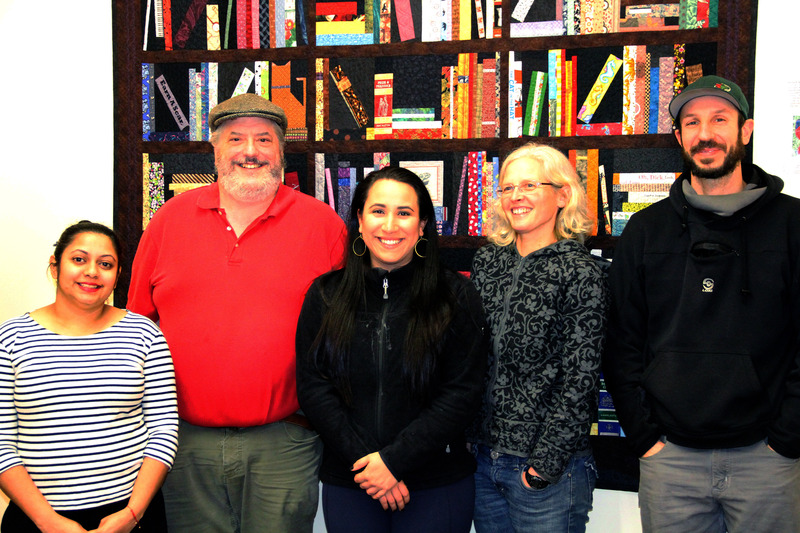 Pillar of the Community — The Sitka Farmers Market not only serves as a community gathering place, but it also is a business incubator. It’s a good place for budding entrepreneurs to test ideas and products before going into full production. The Sitka Farmers Market emphasizes local, local, local, which helps put the focus on products from Sitka. Champion for the Environment — It’s estimated that Alaska residents import about 90-95 percent of their food from the Lower 48 or foreign countries. By encouraging people to grow or harvest food locally, we’re cutting down on thousands of miles of transportation costs. That means less fuel is used, and fewer pollutants in the air. To help shine a light on the Sitka Farmers Market, just go to http://markets.farmland.org/market/sitka-farmers-market/ and recommend our market. In past Farmers Market Celebrations, sponsored by the American Farmland Trust, the Sitka Farmers Market has been at or near the top among the Alaska rankings. In 2015, the Sitka Farmers Market was the top Alaska market in this contest. 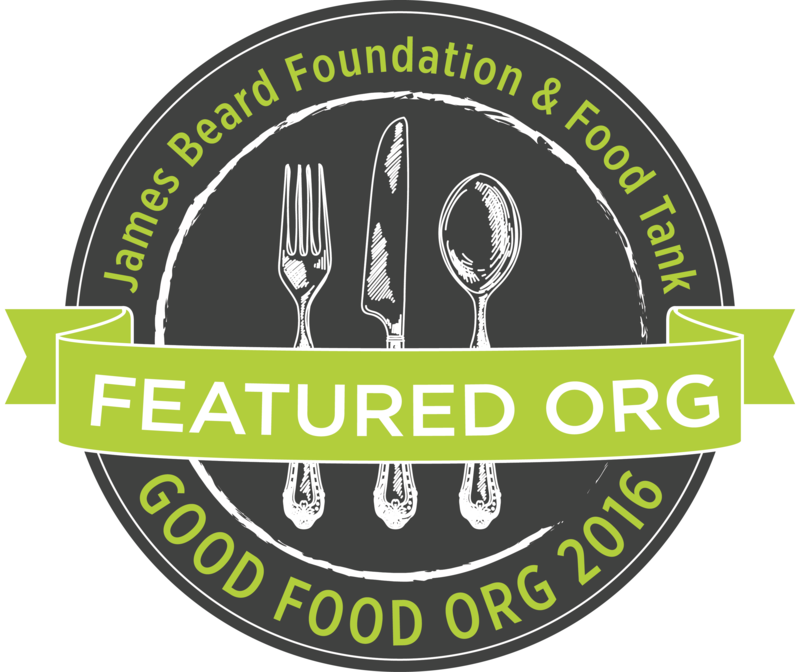 In 2016, the Sitka Farmers Market earned Best In Class honors in the contest. We have a couple of new wrinkles in 2017 (vendor rates back to 2015 levels, a new Alaska Grown booth featuring products from around the state, a kids vendor program, etc. ), so this year could be the best yet. What you put #OnMyFork matters. That’s the message behind American Farmland Trust’s eighth annual Farmers Market Celebration. The celebration calls on shoppers to help identify the cream of the crop — the best of America’s farmers markets — and in Alaska we think that’s the Sitka Farmers Market. The celebration calls on shoppers to help identify the best of America’s farmers markets. The summer-long event launched June 20 and runs through Sept. 21. The first Sitka Farmers Market of the 2016 summer is from 10 a.m. to 1 p.m. on Saturday, July 2, at the Alaska Native Brotherhood Founders Hall. The other six Sitka Farmers Markets this summer are on Saturdays, July 16, July 30, Aug. 13, Aug. 20, Sept. 3, and Sept. 10. Farmers markets have a lot to offer. Beyond the beautiful array of fresh and local food, farmers markets help family farmers thrive, connect us as a community and can be catalysts for both environmental and social good. That is why American Farmland Trust is giving away awards to farmers markets who are the Best in Class in four special areas — Focus on Farmers, Healthy Food for All, Pillar of the Community, and Champion for the Environment. To help shine a light on the Sitka Farmers Market, just go to http://markets.farmland.org/market/sitka-farmers-market/ and recommend our market. In past Farmers Market Celebrations, sponsored by the American Farmland Trust, the Sitka Farmers Market has been at or near the top among the Alaska rankings. 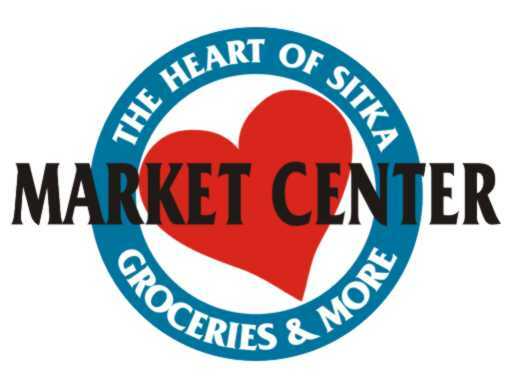 In 2015, the Sitka Farmers Market was the top Alaska market in this contest.